Vivo Y51 Goes Official In The Philippines! Priced At 7990 Pesos! 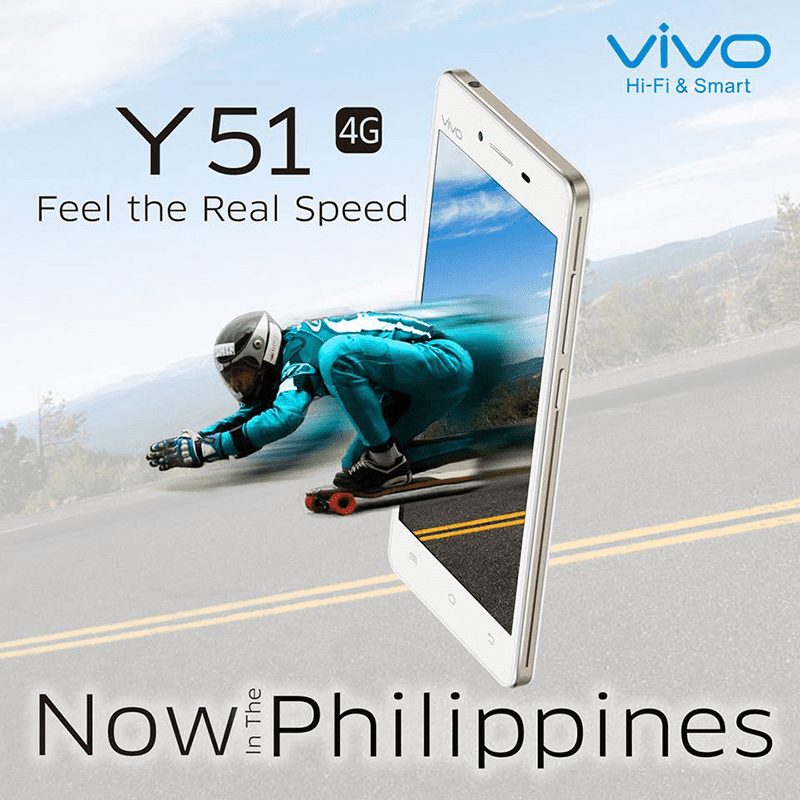 Home / mobile / news / vivo / Vivo Y51 Goes Official In The Philippines! Priced At 7990 Pesos! Vivo Mobile is finally in our country and as we reported previously, the Y51 is their first offering here. Moments ago, the said company officially announced in their Facebook page that the Vivo Y51 entry level handset is now officially available in the country. In case you missed it, the Vivo Y51 is a sleek looking 5 inch phone with decent internals. It packs 2 GB of RAM, 16 GB of expandable ROM, 8 MP rear camera, 5 MP selfie camera and has LTE connectivity. Aside from that it goes with Android 5.1 Lollipop out of the box with Vivo's very own Funtouch OS that's very customizable, has several unlocking gestures, cool themes, easy access options that makes your UI experience simple, intelligent and intuitive. Vivo's Y51 retails at 7,990 pesos and is now available in all authorized resellers nationwide.